SA Feed In Tariff Info: What you need to know before buying solar. Current solar feed-in tariffs in South Australia are known as Voluntary Retailer Contributions. This means SA electricity retailers don’t have to pay anything for electricity solar households export to the grid, although they usually do offer a buyback program. The other good news is South Australia’s feed-in tariffs average a couple of cents higher than in other states. In July 2017, feed in tariffs in South Australia became more generous; with most retailers boosting their solar buyback rates considerably. Plans with higher feed-in tariffs for SA households with solar power systems won’t always result in the lowest electricity bills. I investigated which electricity plans were the cheapest for solar households overall and this article gives a ranked list for Adelaide, although bear in mind that article was published before the latest feed in tariff incentive increases. South Australians who applied to install solar panels before the 30th of September 2011 could lock in a 44 cent feed-in tariff until the 30th of June 2028. Those who applied from the 1st of October 2011 to the 30 of September 2013 could lock in a 16 cent feed-in tariff until the 30th of September 2016. This 16 cent feed-in tariff is now over. If a household increases the size of its solar inverter or the capacity of its solar panels beyond what was already approved by SA Power Networks, they lose the high feed-in tariff. If you are in SA, on the 44c FiT and are thinking of upgrading your solar power system you need to find out what size system your installer received permission for to connect to the grid. You can upgrade your system up to the size that is on your ‘permission to connect’ notice from SA Power Networks without forfeiting your 44c solar feed in tariff. If you go over this size, you lose your 44c FiT and have to go onto the the current FiT (11c – 16.3c depending on retailer). You’re in South Australia and have an 8kW inverter and 5kW of solar panels. 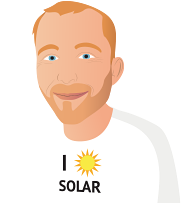 Your installer applied for and received permission to connect an 8kW PV system. You can add another 3kW of panels and keep your existing 44c tariff. If you add 8.25kW of panels or more, you lose the 44c FiT for the entire system and will get paid the current FiT of 11c-16.3c. If you are considering upgrading, I’ve written a detailed page on how to avoid getting burned when upgrading your solar power system. The SA government’s official solar feed in tariff information is here.